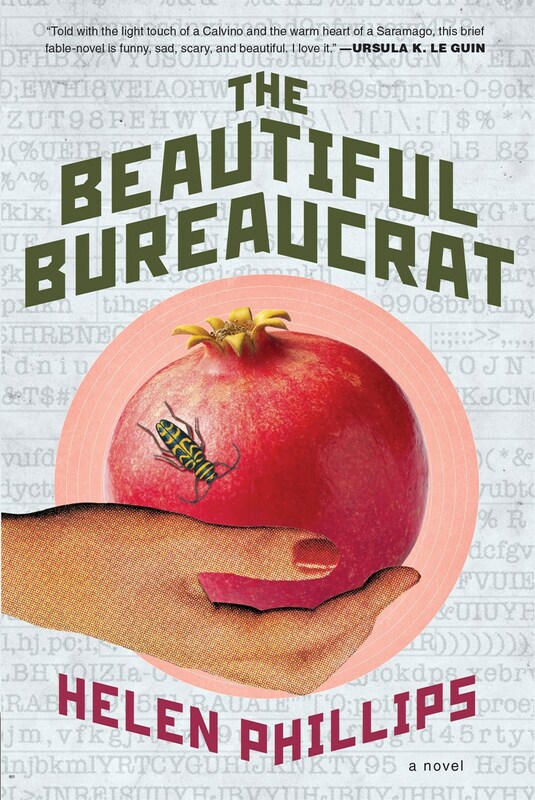 The Beautiful Bureaucrat deals mainly in obscurities. In the opening pages, our heroine, Josephine Newbury applies for a job doing some kind of administrative data entry at a nameless company. After interviewing with a genderless, nameless person dubbed "The Person with Bad Breath," she is given a stack of files and told to input a date from the files into the Database. It's a tedious job that makes no sense to Josephine, but it's a job, and after nineteen months of unemployment, she's grateful to have it. At least for a little while. Then the job--and the office she works in--start to get under Josephine's skin, making her question not only her commitment to her work but her marriage, her plans for her future, and her place in the world. Tonight, after completing her allotted tasks in a methodical fashion, she would go home to him. The money was mounting in their little bank account, which had hovered around zero for so many months. This was a life; it was a life; it was her life. These tranquilizing thoughts carried her through the day until midafternoon, when she glanced up to find The Person with Bad Breath standing quietly in her doorway. She tried to hide her startled shiver. It's a nameless, unidentifiable threat that lurks in the halls of her day job, that follows her home and haunts her dreams as she and her husband move from one sublet to another--sublets just as strange and imbued with as much unsettling oddness as the job Josephine has landed--and as it gets to Josephine, it infects the reader, too, in a creepy, undefined way that lingers long past the book's conclusion. 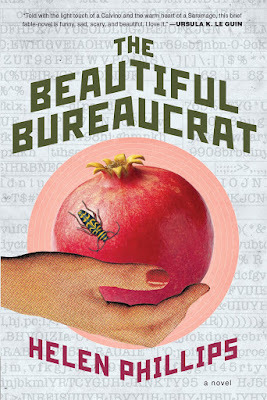 It's nearly impossible to summarize The Beautiful Bureaucrat. On one level, it's a novel about work: how desperately we want it when we don't have it; how consuming it can be when we do; how something as tedious as data entry can be both wonderful and the bane of one's existence. It's also a novel about life: our desire to make it; our longing to live on our own terms; the many small ways we can find--and lose--happiness. It's about how the two come together and overlap and get along and take away from one another. It's about living with ambiguities and uncertainties and insecurities. It's confusing and strange and undefined and excellent. At a mere 192 pages, it's well worth a read--even if, or perhaps especially if, strange fiction about the nature of work and life is outside your standard reading comfort zone. And, bonus! If you'd like to read it (really, you should read this), Henry Holt has graciously offered a copy for giveaway to US readers. Enter using the Rafflecopter form below. Many thanks to the publisher for providing a copy of this title for review & giveaway.